During the years before this book was first published in 1946, and re-editioned in 1953, much had been written on the results of archaeological research, but no account had been published of the methods by which those results are obtained. 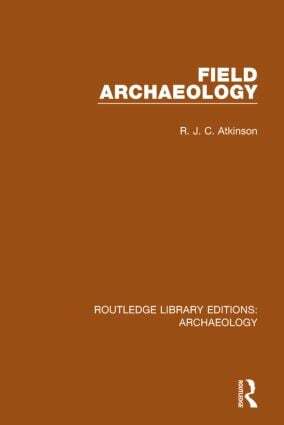 This book provides a simple introduction to the principles and practice of out-of-doors research in archaeology. It covers in detail all the main procedures with which the student should be familiar, including the use of maps and air-photographs, excavation, the drawing of plans, photography, the recording and interpretation of evidence, and the final publication of results. The bibliographies, glossary and appendices summarise much information not easily available elsewhere.